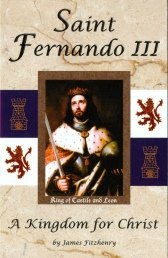 Peter was born at Alcantara in Spain in 1499. Already as a child he manifested a remarkable gift of prayer, so that at times, when he became absorbed in prayer, the servants were unable to get any response from him. 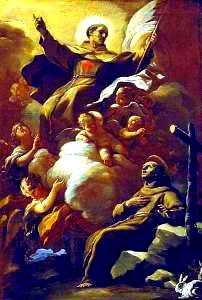 At the University of Salamanca Saint Peter of Alcantara resolved to join the Franciscan Order. The tempter left nothing undone to depict the comfortable life he could lead in the world and still have time for the practices of piety, but humble prayer overcame the seductions of the evil one. Peter set out for the quiet convent of Monjarez. On the way our Lord gave him a signal assurance of his vocation. Saint Peter of Alcantara came to a stream which, because of heavy rains, had overflowed its banks considerably. Seeing no means at hand with which to cross, he knelt down and asked God for help. Suddenly, without knowing how, he found himself on the other side. Once received into the order, Peter gave himself up completely to union with God. 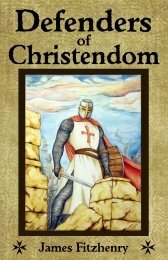 He kept so strict a guard over his senses, that a year later he could not say whether the church in which he prayed each day had a vaulted roof or a flat one. His body seemed to have given to him only to inflict pain upon it. The mortifications he practiced upon divine impulse were amazing. For more than 20 years he wore an iron belt studded with sharp points which pierced his flesh, and for more than 40 years he daily scourged himself till he bled. At first he was much troubled with sleepiness, but he so mortified himself that in time he got along with one and a half hours sleep in a day; and this rest he took while sitting on the floor. According to St Teresa of Avila, it was a very common thing for him to take food only once in three days, and that sometimes he would go a week without eating. God showed His approval of these mortifications by sustaining Peter's strength in a remarkable way. Saint Peter of Alcantara never tired of going from place to place to give missions, and his success was so astounding that St Francis Borgia once wrote to him: "Your remarkable success is a special comfort to me." His various activities, however, in no way diminished his spirit of prayer. He lived and toiled in this spirit, and endeavored to impart it to others. The sufferings of Christ were the special object of his devotion. As Christ sacrificed Himself for us, Peter found nothing too difficult in His service; and as Christ atoned so severely for our sins, Peter practiced the most rigorous penance. The custom of erecting a cross at the close of a mission had its origin with Saint Peter of Alcantara. Whenever feasible, he had the cross erected on an elevation, so that it could be seen all over the parish. On one occasion he was so literally carried away with devotion that he sped through the air to such a cross, where with arms outstretched he prayed a long time, while rays brighter than sunlight proceeded from his person. 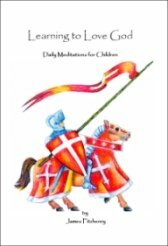 Saint Peter of Alcantara wrote a little treatise on prayer and meditation which is celebrated the world over. Pope Gregory XV declared that it was written under the inspiration of the Holy Spirit. The great mistress of prayer, St Theresa, who lived at that time, wished to have the saint for her spiritual director; and he aided her in reforming the order of Carmel. Saint Peter of Alcantara was a very humble man, and fled from honors. Emperor Charles V wanted him for his confessor, but Peter begged him not to press his request since he could easily secure more learned and eminent men. In the order itself he was obliged to accept the position of provincial, and due to his efforts his province rose to a flourishing state of religious discipline. Provincial though he was, he did not hesitate on occasion to perform the lowliest duties in the house. Saint Peter of Alcantara was humble and charitable in his judgments. A nobleman was once decrying the various evils which were rampant. The saint said: "Truly, matters in the world are in a bad state; but if you and I begin in earnest to reform ourselves, a really good beginning will have been made." 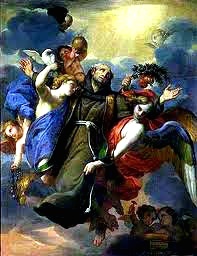 On October 18, 1562, Saint Peter of Alcantara died peacefully in the Lord. St Theresa saw his soul take its flight to heaven. Later he appeared to her and said: "O happy penance that has merited for me such wondrous glory!" Many miracles, including the raising of six dead persons to life, occurred in answer to prayers addressed to him. Pope Clement IX enrolled him among the saints.